We have policies in place for all aspects of our nursery to ensure we deliver consistently high levels of care. 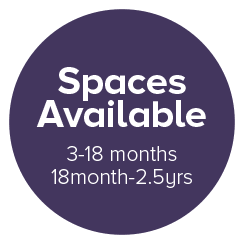 Woodley Gardens Day Nursery complies with Health and Safety Regulations and has been approved by the Department of Environmental Health and registered by OFSTED. All of our policies can be seen in the Nursery Entrance Hall. Please click here to download a pdf of our policies. The Nursery receives Inspections from Ofsted Early Years, and general guidance is available from Wokingham Council Early Years Advisers. The Nursery has written policies and procedures which have been read and approved by the relevant authorities. Our Health and Safety Policy details risk assessment procedure, how we ensure we are all working in a safe environment, Guidance for staff, COSHH, RIDDOR, Electricity, Fire Safety, Accidents, Food and Hygiene and Child Safety. Please see our policies and procedures file. Our Equal Opportunities Policy details our Admissions Policy, working with families and children, The Curriculum, Food and Festivals, Resources, Language, Special Needs, Grievances, Discriminatory Behaviour, Complaints. This policy will be sent out to you with a place offer. Our SEND Policy details our procedure for monitoring special needs and disabilities and to ensure that all children have the same entitlement to a broad based curriculum. This policy will be sent out to you with a place offer. This policy will be sent out to you with a place offer. This policy outlines how we encourage positive behaviour and how we may deal with any challenging behaviour. It also provides guidance for staff and parents. This policy will be sent to you with a place offer. There are also many other policies and procedures in our Policies folder which can be found in our Entrance Hall. Any of our policies can be copied for parents on request. On enquiry a Welcome Pack will be given to prospective parents and an introductory visit will be suggested. On receipt of a completed Waiting List Enrolment Form, the child’s name will be added to the waiting list. There is no charge for this. Nursery places are subject to availability. There will be equality of access to nursery places as outlined in the Woodley Gardens Day Nursery Equal Opportunity Policy. When a place becomes available within a suitable age group, parents of a child from the top of the list will be offered a place according to the start date required. Priority will be given to children requiring all day care five days a week, then to those requiring all day care on two, three or four days per week, particularly those who can be successfully matched to make a full time place. Siblings of children currently attending will also take priority of places.